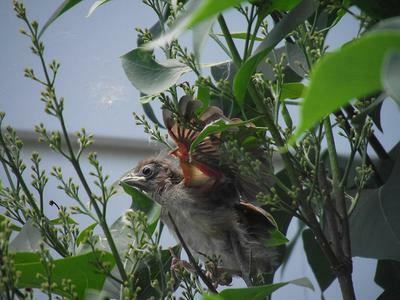 A baby Cardinal sat in our lilac bush getting up the nerve to fly. Adorable! Thank you for sending this picture to us.